Oh that is my kind of pint, sistah! And that is a great look for you. Hilarious!!!! Way to fall off the wagon. You forgot the chocolate sauce! 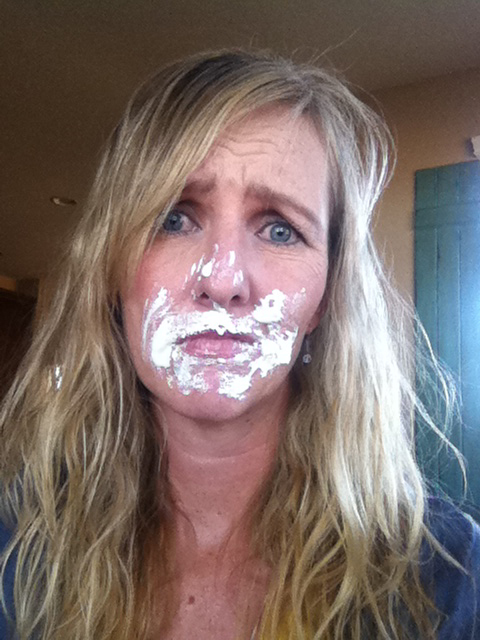 One day my kindergartner Ben came home from school looking alot like this--only covered in chocolate. I said "Honey what happened?" And he replied "Well, Dad put pudding in my lunch but no freakin' spoon!" One of my favorite mom moments ever. Love yer guts. 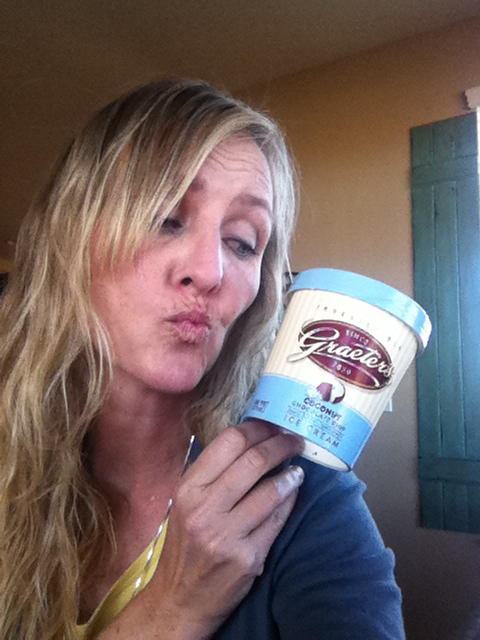 Sorry if you hate me for introducing you to graeters. Coconut is the best Flavor!!!! Jealous! So was that a facial or a snack?! Oh, how i miss you, girl.